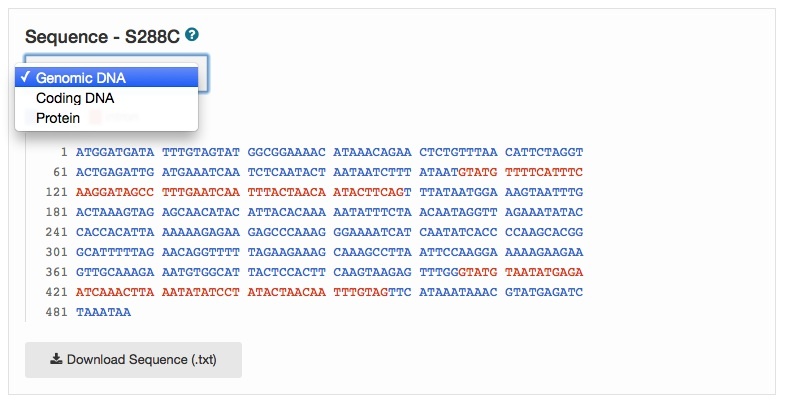 SGD’s Variant Viewer is an easy-to-learn web application that allows visualization of differences in both gene and protein sequences. 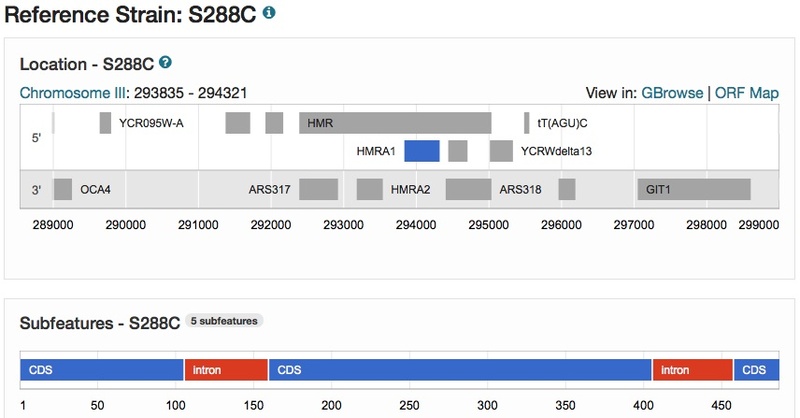 With Variant Viewer, you can compare the nucleotide and amino acid sequences of your favorite genes in twelve widely-used S. cerevisiae strains. Our upcoming webinar on August 3rd, 9:30 AM PDT will provide a quick 10 minute tutorial on how to use Variant Viewer. We will demonstrate how to compare nucleotide and amino acid sequences of different S. cerevisiae genomes, and how to visualize strain-specific single nucleotide polymorphisms, insertions, and deletions contained within a given open reading frame. This is the fourth episode in the SGD Webinar Series. For more information on the SGD Webinar Series, please visit our wiki page: SGD Webinar Series. At SGD, we are expanding our scope to provide annotation and comparative analyses of all major budding yeast strains, and are making progress in our move toward providing multiple reference genomes. To this end, the following new S. cerevisiae genomes have been incorporated into SGD as “Alternative References”: CEN.PK, D273-10B, FL100, JK9-3d, RM11-1a, SEY6210, SK1, Sigma1278b, W303, X2180-1A, Y55. These genomes are accessible via Sequence, Strain, and Contig pages, and are the genomes for which we have curated the most phenotype data, and for which we aim to curate specific functional information. It is important to emphasize that we are not abandoning a standard sequence; S288C is still in place as “The Reference Genome”. However, we do recognize that it is helpful for students and researchers to be able to ‘shift the reference’, selecting the genome that is most appropriate and informative for a specific area of study. These new genome sequences have been also been added to SGD’s BLAST datasets, multiple sequence alignments, the Pattern Matching tool, and the Downloads site. Please explore these new genomes, and send us your feedback. New Sequence pages are now available in SGD for virtually every yeast gene (e.g., HMRA1 Sequence page), and include genomic sequence annotations for the Reference Strain S288C, as well as several Alternative Reference Genomes from strains such as CEN.PK, RM11-1a, Sigma1278b, and W303 (more Alternative References coming soon). Each page includes an Overview section containing descriptive information, maps depicting genomic context in Reference Strain S288C (as shown below) and Alternative Reference strains, as well as chromosomal and relative coordinates in S288C. The sequence itself includes display options for genomic DNA, coding DNA, or translated protein. Also available on each Sequence page are links to redesigned S288C Chromosome pages, links to new Contig pages for Alternative Reference Genomes, and a Downloads menu for easy access to DNA sequences of several other industrial strains and environmental isolates. The new Sequence, Chromosome, and Contig pages make use of many of the features you enjoy on other new or redesigned pages at SGD, including graphical display of data, sortable tables, and responsive visualizations. The Sequence pages also provide seamless access to other tools at SGD such as BLAST and Web Primer. Please explore these new pages, accessible via the Sequence tab on your favorite Locus Summary page, and send us your feedback. SGD has incorporated two new S. cerevisiae strain genomes: CEN.PK113-7D and ZTW1. CEN.PK113-7D is a laboratory strain derived from parental strains ENY.WA-1A and MC996A, and is popular for use in systems biology studies. ZTW1 was isolated from corn mash used for industrial bioethanol production in China in 2007. We have also incorporated an updated genomic sequence for W303-derivative K6001, a key model organism for research into aging. The previous version of W303 was an early view courtesy of Markus Ralser. SGD has updated the ORF DNA and protein sequence alignments to include these two additional strains, and the updated W303. We have also included the new genomic, coding, and protein sequences in both the BLAST Search and Pattern Matching (PatMatch) tools. The alignments are accessible via the Analyze Sequence section on the Locus Summary pages. Also available are retrieval and download options. SGD now has available ORF DNA and protein sequence alignments for dozens of S. cerevisiae strains. The alignments are accessible via a new ‘Analyze Sequence’ section on the Locus Summary pages. Also available are retrieval and download options. Stay tuned in the coming months as SGD continues to develop additional tools for viewing and analysis of these sequences. SGD has updated both its BLAST Search and Pattern Matching (PatMatch) tools to include genomic, coding, and protein sequences from 26 additional S. cerevisiae strains. Look for more updates and tools from SGD for analyses of the S. cerevisiae strain genomes in the coming months. The budding yeast Saccharomyces cerevisiae reference genome sequence was updated today. This is the first major update of the S288C reference sequence since 1996, and 194 proteins have changed as a result of this update. The new version, called “S288C 2010”, was provided by Fred Dietrich of Duke University, and was determined using new high fidelity sequencing from an individual yeast colony. This update increases accuracy by using modern sequencing technology (Illumina HiSeq) and provides a valuable resource that will serve as the reference point from which to expand our annotation of additional S. cerevisiae strains. In the very near future, SGD will provide researchers with the genome sequences for several commonly used laboratory strains. This is a very exciting time. We will soon have the sequence of all major laboratory strains and hundreds of wild and commercial isolates. Comparative genomics with so many well-studied S. cerevisiae strains and closely-related species will enhance the awesome power of yeast genomics.